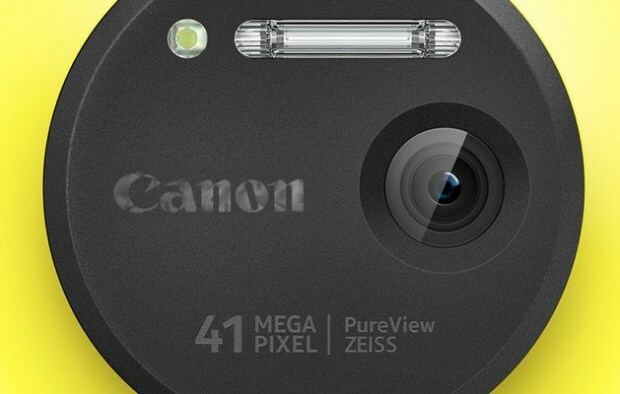 Nokia teams up with Canon to make the perfect picture! You are here: GeekSays Technology News » General » Nokia teams up with Canon to make the perfect picture! It seems that Microsoft has already made a deal with Canon, a deal which could be a great step forward for Lumia devices when it comes to their photo and video abilities. And what does this mean? Simple. Canon will replace the current technology used by Nokia with its own. Nokia + Canon = Love. Even though we don’t know yet how big Canon’s contribution will be, we presume that the Carl Zeiss lens will be replaced by Canon-made ones. Still, Microsoft hasn’t taken an official position yet, but still, a partnership like this will be, without a doubt, more than positive, resulting in a series of smartphones and maybe tablets with awesome cameras. Yeah, Nokia could release something even better than the Lumia 1020 if this turns out to be true. We do have a hint that this partnership might happen after all. Canon is currently using Microsoft patents for their cameras’ graphic interfaces, apparently to integrate a couple of Windows Phone functions. Right now, we’re curious to see if the upcoming Nokia devices with the Canon technology will actually feature the camera manufacturer’s logo somewhere around the lens, like Zeiss does currently. Also, it’s interesting to see if they’re planning to make phone with huge sensors, like the one used on the above mentioned Lumia 1020, which had a giant 41 MP one. What do you think about this partnership? Will Nokia make the best camera phones on the market?